A nursing care plan, generally, lays out the kind of nursing attention a patient needs. These plans are detailed and depend on the specific requirements and medical diagnoses of the client. But the biggest question is why are such plans needed? The answer to which is simple- to maintain continuity of care. Since, a patient is not served by the same nurse throughout the day; the need for a well-crafted nursing care plan arises. 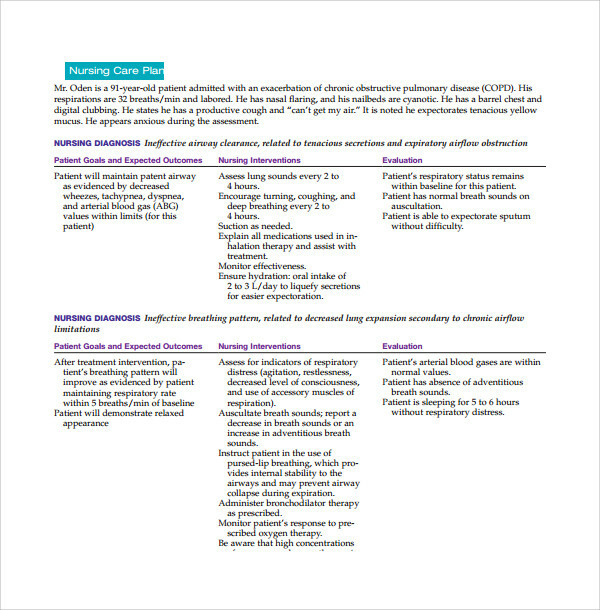 This plan works like a guide for the nursing staff, and nurses refer to it to be aware of a patient’s medical needs at any given point of time. 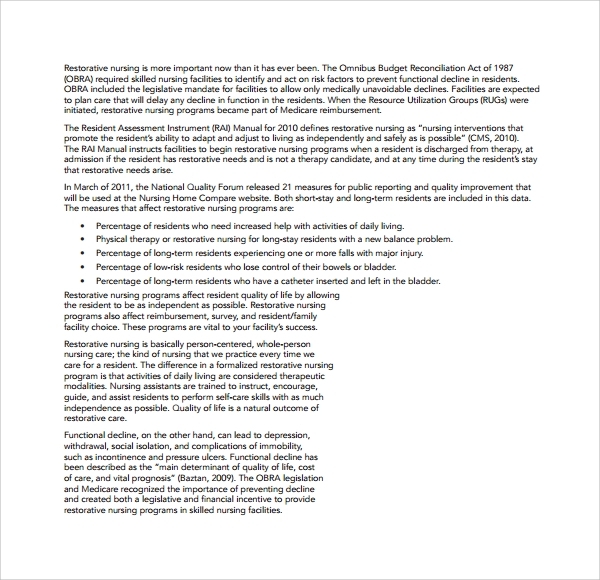 However, creating nursing care plans could be cumbersome without the use of templates. 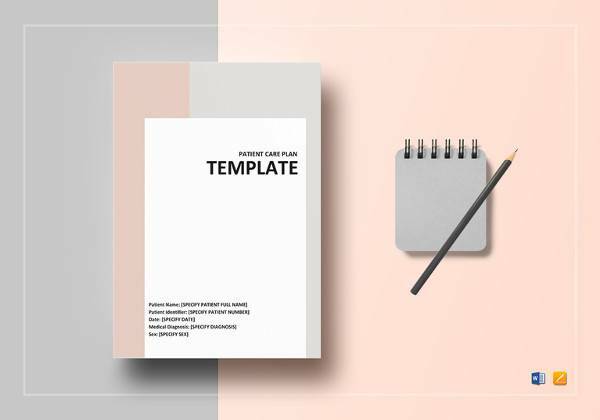 So, if you want to minimize unnecessary efforts, using a great Nursing Care Plan Template, Action Plan Template would be the best thing to do. Mental health patients cannot solely be treated with medicines; they desire compassion to show favorable health outcomes. And that is why they need customized nursing care plans created with utmost care. 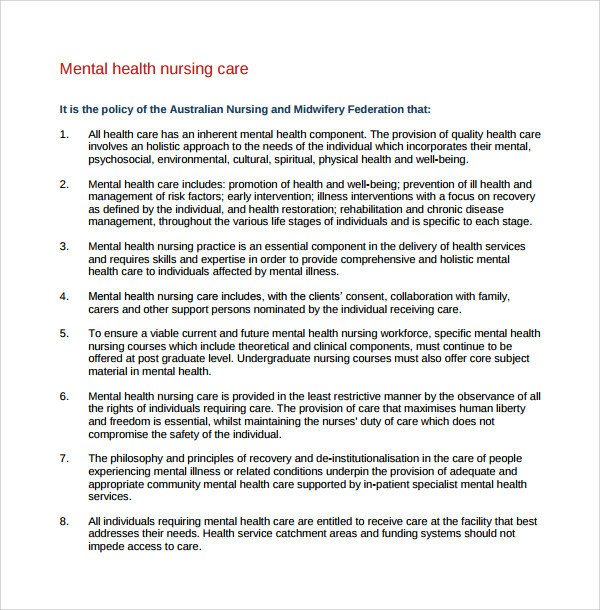 Although, any mental health nursing care plan template can help you do this, you must get it from a reliable web source. Restorative nursing care plans benefit patients who wish to adjust and adapt safely to independent living after being discharged from rehabilitation therapy services. 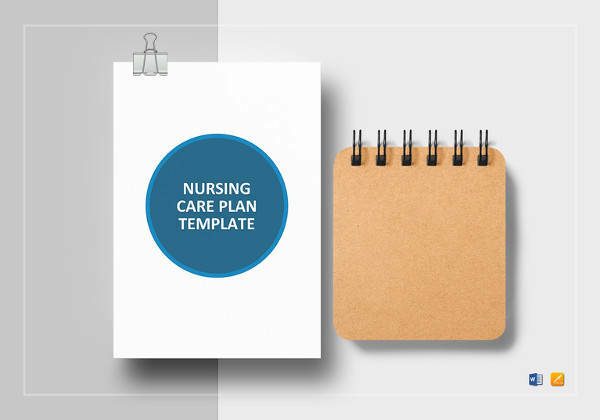 Making care plans for such patients can be a little tricky but with restorative nursing care plan templates, everything is a breeze. If you are a nursing student then you probably know that concept maps improve students’ critical thinking in an incredibly effective manner. And that is why concept mapping is such an important aspect of nursing courses. 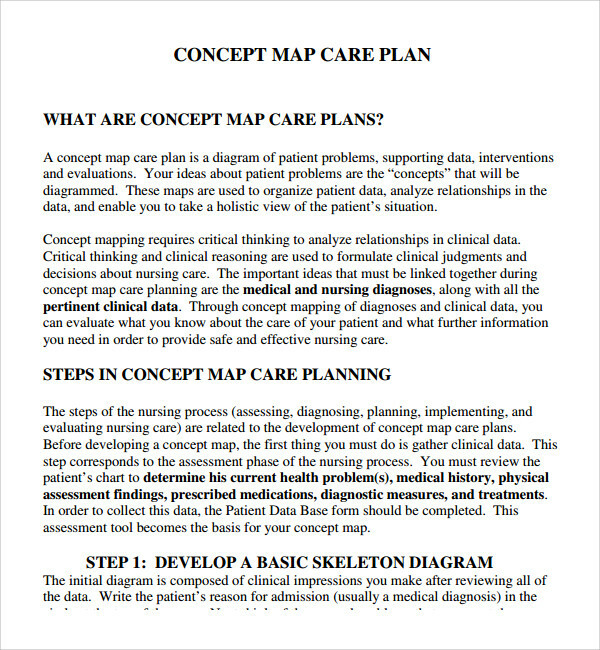 But if you have difficulty creating concept maps, you can take help of Concept map nursing care plan templates. Not just human beings, even animals need proper care to show improvement in health. And the care they need must be well planned. 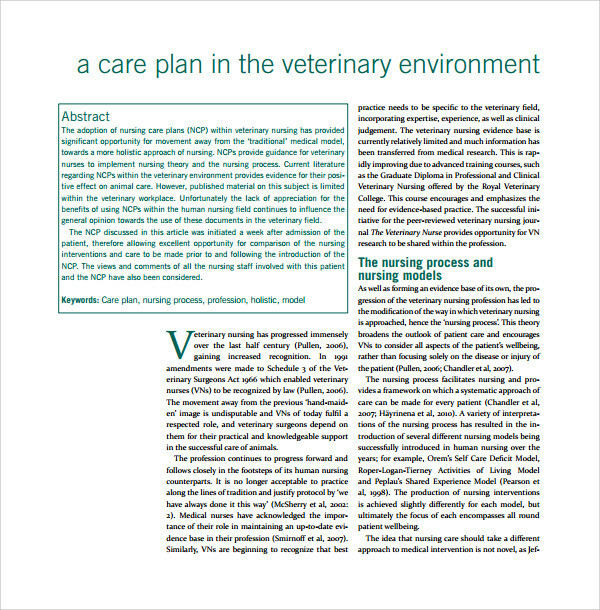 Veterinary nursing care plan templates can aid care planning to a considerable extent. So, if you are a veterinary nursing student looking to create a great care plan, you already know what can help you. As a matter of fact, doctors cannot be at a patient’s disposal round the clock. It’s a nursing staff that does this for the patient on doctors’ behalf. Hence, their role as medical care taker and contribution towards patients’ well being are beyond question. The better planned the care is, the faster the patient recovers. And that is why; care planning is considered such an important aspect of nursing. Sometimes, a properly devised care plan can also help the patient claim reimbursement from their health insurance company. 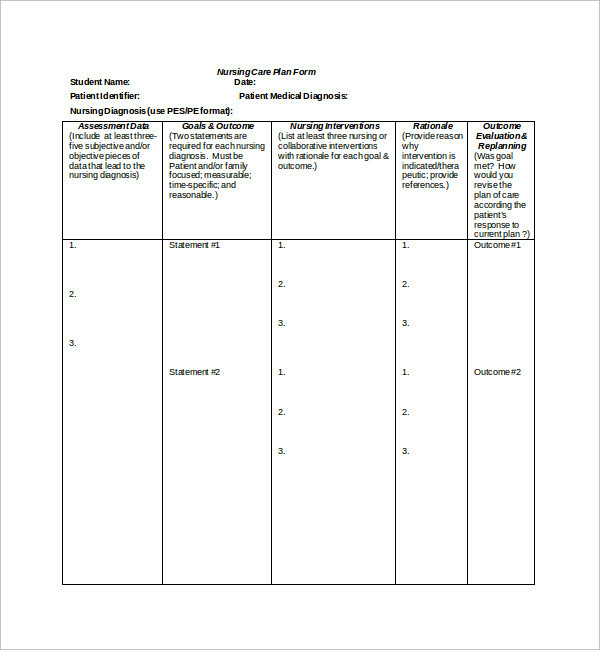 Without a precisely documented nursing care plan, Management Action Plan Template the patient can’t prove that the care was actually provided. All in all, nursing care plans are supremely essential. 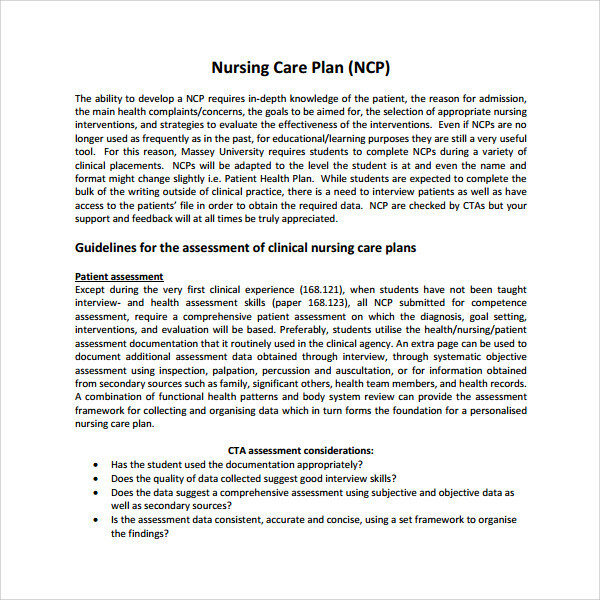 Nursing care plan templates are available for download online and can be availed free of cost. Sometimes, a negligible fee may be charged, but shelling out such a small amount of cash for something as valuable as a care plan template is never a bad idea. Their quality on paper is great and they are extremely easy to download. Just go for these templates; they are definitely the order of the day.